Litigation Capital Management Ltd (and its subsidiaries) (“LCM”) is a provider of litigation funding products and, from that perspective, makes the below submission on certain matters raised in the Victorian Law Reform Commission Consultation Paper “Access to Justice – Litigation Funding and Group Proceedings” (July 2017) (“Consultation Paper”). Founded in 1998, LCM was one of the first professional litigation funders in Australia, and is one of the oldest litigation funders globally. LCM is publicly listed and further information about LCM can be found on www.lcmfinance.com. 3.2. bearing the risk of litigation by providing an indemnity for any exposure to adverse costs orders. In consideration for LCM’s assistance, it ordinarily receives a percentage of the proceeds of any award or settlement in the litigation, and is reimbursed for the capital deployed to finance the claim. LCM only receives a return on its investment if the claim is successful. LCM funds commercial and insolvency matters, as well as class actions. LCM makes submissions in response to specific questions posed by the Consultation Paper below. At the outset, LCM also makes some general observations. Although this submission proceeds on the basis of the above definition, LCM submits that in some contexts the scope of this meaning and its specified carve-outs can be somewhat artificial and, consequently, any recommendations or reforms that are based on the above definition could (and in some cases, arguably ought to) have broader application. By way of example, LCM submits that there are clear commonalities between the tripartite relationship of an insurer, insured and legal representatives, and the tripartite relationship of a litigation funder, litigant and legal representatives. Consequently, to take this example further, LCM submits that many arguments raised in favour of the disclosure of a plaintiff’s litigation funding agreement to the Court and to the defendant, apply with equal force to the disclosure of a defendant’s insurance policy. Secondly, LCM notes that the Victorian Law Reform Commission is asked to report on issues relating to litigation funding and group proceedings “to ensure that litigants are not exposed to unfair risks or disproportionate cost burdens”. Additionally, although the Consultation Paper notes that “the services provided by litigation funders and the introduction of class actions in Victoria have enabled thousands of Victorians to obtain redress when otherwise legal action was beyond their reach”, it is then stated that there is concern within the judiciary, the legal profession and the wider community about the impact of litigation funding and the class action regime on the legal system, the role of the court, the interests of litigants and the rights of defendants. Thirdly, the Consultation Paper notes that “there has been controversy about” certain specific litigated actions. One of the examples provided is “the allocation of the full amount that was awarded to pay the entitlements of former employees of Huon Corporation to meet the litigation funder’s fee, legal fees and the administration and other costs”. Although not noted in the Consultation Paper, it has been further reported that the outcome of the Huon Corporation proceedings was, in fact, the catalyst for the Victorian Attorney-General, the Honourable Martin Pakula MP, asking the Victorian Law Reform Commission to provide its report. LCM was the provider of litigation funding in relation to the above proceedings and, at the outset, LCM highlights that its funding arrangements were with the named plaintiffs in the subject Supreme Court action. Those plaintiff parties were two very experienced professionals that were appointed as trustees of certain former Huon Corporation employees. 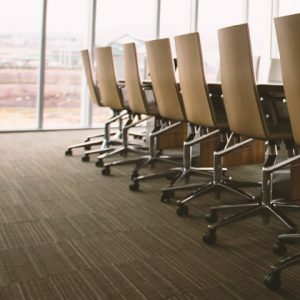 In that role, the trustees were responsible for protecting the interests of the employees, and for progressing the legal proceedings on their behalf. 15.10. public reports state that the legal costs incurred in the matter were in the order of $3million (although LCM does not comment on the accuracy of these reports). Without commenting on this particular piece of litigation, in this context LCM highlights that ordinarily throughout the life of a matter (prolonged as some matters may be) LCM continues to provide funding of legal costs and disbursements, and continues to bear the full risk of the action’s downside. Here, it must be said that LCM is not the plaintiff in the action, and the solicitors engaged in the proceedings do not act for LCM. As such, it is not LCM’s role, nor is it properly LCM’s prerogative, to assume a plaintiff’s right and responsibility to conduct the plaintiff’s proceedings, instruct its legal representatives and, by extension, drive and regulate the quantum of incurred legal costs or adverse costs. It is, however, LCM’s role to continue to make payment of the legal costs that eventuate and to bear the full risk of the action. It is important to note that had the Huon Corporation action (and the same can be said for most funded actions) resolved for less than its ultimate outcome, or had the defendant been successful at first instance or on appeal, it is LCM who would have been liable to make payment of the full sum of the plaintiff’s legal costs and, in addition, to meet the very considerable burden of adverse costs orders. Clearly, in this context, it is LCM’s objective, which objective is commonly aligned with the parties that LCM funds, to achieve a just and positive outcome, and to do so in a cost effective and efficient way. It is an unfortunate reality that commercial litigation is unpredictable and risky, and that the cost of advancing a claim, particularly against an adversarial defendant, can have a very significant impact on the action’s ultimate proceeds. This is true of both funded and unfunded proceedings. However, LCM submits that the services of a litigation funder allow the rights of a litigant to be enforced with that litigant facing no risk or cost, while retaining the majority of the interest in any net upside. 1. What changes, if any, need to be made to the class actions regime in Victoria to ensure that litigants are not exposed to unfair risks or disproportionate cost burdens? Insofar as this question relates to class actions that are financed by litigation funders, please see response to question 2 below. 2. What changes, if any, need to be made to the regulation of proceedings in Victoria that are funded by litigation funders to ensure that litigants are not exposed to unfair risks or disproportionate cost burdens? At the outset, LCM makes the observation that in its experience, the current regulation of funded proceedings in Victoria does not leave litigants exposed to “unfair risks” or “disproportionate cost burdens”. Litigation is an adversarial process, and an inherently risky and costly pursuit. It is, in fact, the goal of mitigating costs and risks that ordinarily leads a litigant to involve a litigation funder. LCM addresses these issues separately below. Litigation funders ordinarily bear the full risk of an action by providing an indemnity for adverse costs exposure and meeting costs on a no recourse basis (meaning the funder cannot recover these sums from a funded party). In these circumstances, if the action is unsuccessful the litigant is not liable for any downside from the action and, consequently, cannot be worse off than if the action had not been commenced. If this is the case, it is unclear how litigation funding could be said to expose litigants to “unfair risks” and, consequently, how changes in the regulation of funded proceedings in Victoria could be necessary to address this. The above scenario can be contrasted with most unfunded (and uninsured) actions, where the risks (including adverse costs exposure) for any participant are a constant and material consideration. 25.2. the litigation funder’s charges (“Funding Costs”), which are negotiated and agreed at the outset of the funding relationship and are commonly calculated as a percentage of the recovered funds. Again, such costs are only paid out of any successful outcome and only to the extent of that successful outcome. Otherwise, the Funding Costs are not recoverable. It follows from the above that in order to ensure that “litigants are not exposed to …disproportionate cost burdens”, any changes to regulation could by definition focus on one or more of a) the quantum of Legal Costs; b) the quantum of Funding Costs; or c) the litigants’ exposure. With respect to the quantum of Legal Costs, LCM submits that existing regulation already addresses the ways in which such costs are to be estimated, charged and reported. With respect to Funding Costs, LCM advocates against the use of regulation to restrict the ability of parties to negotiate and agree commercial terms in relation to the provision of funding products. Practically speaking, such regulation (depending on its effect), may also lead funders and solicitors to make efforts to “forum shop” for Courts with less interventionalist requirements. This result would be counter-productive. As to the litigants’ exposure, current regulations allow Courts to make orders that an unsuccessful defendant meet some or all of a successful plaintiff’s Legal Costs. LCM submits that in certain contexts, Funding Costs are analogous to Legal Costs and, therefore, there is force in an argument for an expansion of the Court’s powers to permit the making of orders for payment of some or all of a successful litigant’s Funding Costs by their opponent. LCM does not advocate such regulation for all funded claims. However, using the examples of meritorious class actions, insolvency claims and claims of impecunious parties, it can be said that some litigants have little choice but to obtain litigation funding and incur associated Funding Costs if they wish to avail themselves of the opportunity to assert their rights. In fact, in such cases, Courts have recognised that Funding Costs are a “standard” expense. If this is so, why should the litigant(s) not have an entitlement to recover some or all of their unavoidable Funding Costs, if their claim is ultimately found to be successful? 3. Should different procedures apply to the supervision and management of class actions financed by litigation funders compared to those that are not? LCM refers to its response to question 2 above, but otherwise submits that the use of litigation funding by class action members should not give rise to a need for any different supervision and management procedures. Although LCM does not propose to address any hypothetical procedures that may be suggested, it makes the general observation that the introduction of additional supervision or management steps could ultimately be counterproductive to the overall goal of cost burden management. 5. Is there a need for guidelines for lawyers on their responsibilities to multiple class members in class actions? If so, what form should they take? LCM does not comment on this question, save to note that in LCM’s view, experienced class action lawyers are mindful of their responsibilities to multiple class members, and are careful and considered in managing those responsibilities. 6. In funded class actions, should lawyers be expressly required to inform class members, and keep them informed, about litigation funding charges in addition to the existing obligation to disclose legal costs and disbursements? If so, how should this requirement be conveyed and enforced? LCM supports steps taken to ensure that class members in funded actions are well informed of their litigation funding charges. In response to the question posed above, LCM only notes that in its experience Funding Costs are often calculated as a percentage of the recovered funds and are fixed by the funding agreement executed by funded class members. As such, those class members are not only informed, but explicitly agree to, the Funding Costs. Further, in these cases, while Legal Costs continue to increase throughout the life of a claim and consequently may require ongoing reporting, the agreed percentage Funding Cost is set and certain from the start of the funding relationship to its conclusion. If so, an express requirement to keep informing class members about Funding Costs may have little work to do over the course of an action. 7. In funded proceedings other than class actions, should lawyers be expressly required to inform the plaintiff, and keep them informed, about litigation funding charges in addition to the existing obligation to disclose legal costs and disbursements? If so, how should this requirement be conveyed and enforced? LCM supports steps taken to ensure that litigants in funded actions are well informed of their litigation funding charges. 10. In funded class actions, should the plaintiff be required to disclose the funding agreement to the Court and/or other parties? If so, how should this requirement be conveyed and enforced? In principle, LCM does not oppose the disclosure of funding agreements to the Court and/or to other parties in funded class actions. However, LCM submits that in order to protect the interests of group members, any such disclosure ought not be unfettered, but rather should allow redactions in order to, at least, conceal information which might be expected to confer a tactical advantage on another party to the proceeding (as is permitted by the Federal Court of Australia Class Actions Practice Note). 11. In funded proceedings other than class actions, should the plaintiff disclose the funding agreement to the Court and/or other parties? If so, should this be at the Court’s discretion or required in all proceedings? Although LCM does not take a strong view on this question from its perspective as a litigation funder, LCM does submit that the benefits or reasons for this unprecedented disclosure of litigation funding agreements to the Court and/or to other parties in proceedings other than class actions are not entirely clear. By reference to the Consultation Paper, LCM notes that the disclosure of funding arrangements is said to enable the court “to assess the reasonableness of the terms of the agreement and whether they provide adequately for the interests of all parties”. LCM submits that in actions other than class actions, it is difficult to advocate for the Court expending resources on a detailed consideration of the “reasonableness” of the commercial arrangements between a litigant and another entity (which arrangements are not the subject of a dispute before the Court or a request for judicial advice), in order to make an assessment of whether those arrangements provide for the contracting parties’ interests and, in addition, for the interests of the defendant in that action. The ultimate point and purpose of this exercise is not apparent. LCM also highlights that globally there is a trend towards more sophisticated corporate entities utilising litigation funding products as a means of leveraging against their litigation assets (for example, British Telecom entered into a $45million funding arrangement with Burford Capital last year). It cannot seriously be suggested that a Court ought to scrutinise such commercial agreements to ensure that they adequately protects the corporate’s interests. It must also be said that this level of judicial scrutiny is certainly not commonplace for any other funding arrangements, such as insurance policies held by any defendant parties or retainer agreements between those parties and their solicitors. As a connected, but separate factor, it is said that disclosure of funding agreements will assist case management and will allow any particular issues arising from the litigation funding agreement to be identified and addressed. Again, it must be said that in claims other than class actions, litigation funding agreements only bind the plaintiff (who is the party that made the decision to enter into the agreement, presumably to manage its own risks and costs). Why a Court ought to look behind that party’s decision is not clear. 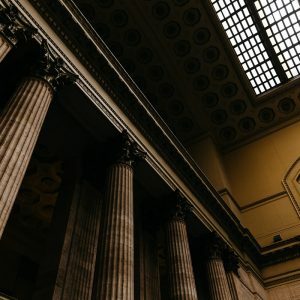 By way of general observation, it is difficult to understand why the disclosure of a plaintiff’s litigation funding agreement could be necessary for the protection of a defendant’s interests. A defendant’s application for security for costs has been offered as an outcome that could be affected by such disclosure. However, LCM submits that although the existence of litigation funding arrangements can be a factor weighing in favour of the granting of a security for costs order, it is not the only factor. Ultimately, the existence of a litigation funding agreement alone will ordinarily be insufficient for the defendant to establish an entitlement to security. LCM also submits that the potential benefits of disclosure ought to be carefully weighed against its potentially detrimental effects. LCM highlights that mandatory disclosure of the existence of litigation funding arrangements will have the consequence of bringing to light both those who do, and also those who do not, have funding in place. If disclosure is mandatory for all matters, the absence of a disclosure will by inference signal the absence of litigation funding which fact alone could, in some cases, confer a tactical advantage on a defendant. Not only would it send a message about the resources allocated to the plaintiff’s case, but could also be an indicator that the plaintiff was unable to obtain funding (perhaps because a litigation funder has assessed the merits of the case and has declined to invest in it). LCM further submits that requiring disclosure in certain circumstances and not others could open the door for interlocutory skirmishing as to whether the criteria for disclosure is met. 12. In the absence of Commonwealth regulation relating to capital adequacy, how could the Court ensure a litigation funder can meet its financial obligations under the funding agreement? LCM submits that the security for costs regime is an effective means of protecting defendants from the risks of a funder’s inability to meet costs orders if such orders are made. Additionally, LCM notes that its own status as a publicly listed funder offers transparency in respect of its financial position. Should the existing threshold criteria for commencing a class action be increased? If so, which one or more of the following reforms are appropriate? (a) introduction of a pre-commencement hearing to certify that certain preliminary criteria are met; (b) legislative amendment of existing threshold requirements under section 33C of the Supreme Court Act 1986 (Vic); (c) placing the onus on the plaintiff at the commencement of proceedings to prove that the threshold requirements under section 33C are met; (d) other reforms. 14. Should the onus be placed on the representative plaintiff to prove they can adequately represent class members? If so, how should this be implemented? In response to questions 13 and 14, LCM does not wish to comment, save to note that in class actions that are funded, the risk of those claims being vexatious, frivolous or abusive, or being improperly constituted as a class action, is naturally minimised by the litigation funder’s criteria for selecting meritorious claims for investment. 15. Should a specific legislative power be drafted to set out how the Court should proceed where competing class actions arise? If not, is some other reform necessary in the way competing class actions are addressed? The issue of competing class actions is already the subject of developing jurisprudence (see, for example, McKay Super Solutions Pty Ltd (Trustee) v Bellamy’s Australia Ltd  FCA 947). LCM submits that the Courts are best placed to continue to shape and apply the principles developed through such jurisprudence, as this allows the flexibility necessary to continue to address these issues in a rapidly evolving class actions landscape. 16. Does the involvement of litigation funders in class actions require certain matters (and if so, which) to be addressed at the commencement of, or during, proceedings? LCM repeats its response to question 3 above. 19. Should the following matters be set out either in legislation or Court guidelines? (a) criteria to guide the Court when assessing the reasonableness of a funding fee; (b) criteria for the use of caps, limits, sliding scales or other methods when assessing funding fees; (c) criteria or ‘safeguards’ for the use of common fund orders by the Court. The Federal Court has been active in considering and developing criteria to be considered when approving, and ultimately modifying and setting, the Funding Costs in class actions. The Court has indicated that Funding Costs ought to be fair and reasonable, and proportionate in terms of the sums invested and the risk undertaken by the funder. LCM submits that legislative or practice guidelines as to the factors to be assessed when considering Funding Costs may provide some added certainty to the parties embarking on a class action, and may assist in the decision making of funders and group members alike as to whether an action is commercially viable. However, LCM also advocates for continued recognition of the nuanced and multifaceted nature of settlement and common fund order applications, and the need for flexibility in judicial consideration of Funding Costs on a case-by-case basis. the use of guidance in the form of sliding scales to plot proportionality of funder’s return against the sum invested and the risk undertaken could be more effective in recognising the interests of each of the class members, lawyers and the funder. However, LCM submits that such scales would also create a greater level of unpredictability, would lead to a greater risk of group member misinformation and would require very considerable ongoing disclosure. 21. At which stage of proceedings should the Court assess the funding fee? What, if any, conditions should apply to this? LCM acknowledges the Federal Court’s resistance to consideration of Funding Costs early in the proceedings, and the deferral of such consideration to a later stage when more probative and complete information is available (most likely at settlement or distribution of award). With this in mind, LCM submits that assessing the Funding Costs later in the proceedings creates an increased level of risk for funders in undertaking class actions. If this is to be the case, LCM submits that this risk should be an additional factor that Courts take into account when determining “proportionality” of Funding Costs against sums invested and risks undertaken (as discussed in response to question 19 above). 26. Would lifting the ban on contingency fees mitigate the issues presented by the practice of litigation funding? By way of general observation, in its role as a funder LCM does not take a view on whether the ban on contingency fees ought to be lifted. Although this could lead to increased competition in the industry, LCM also sees it as a potential opportunity. However, LCM does wish to respond to the question of whether the ban should be lifted because it would “mitigate the issues presented by the practice of litigation funding”. Of course, the answer to this question would depend on what the “issues presented by the practice of litigation funding” are said to be. LCM makes the following observations on the assumption that the relevant “issues” are conflict and cost. LCM acknowledges that a great deal of consideration and careful attention has already been given to the conflicts of interest that would arise if lawyers had a direct financial interest in their client’s recovery. LCM generally agrees with advocates for the retention of the ban on contingency fees. In response to the specific question posed above, LCM submits that it is almost impossible to see how the conflict issues that may arise in a tripartite funding arrangement could be mitigated by merging the interests of two out of the three parties. LCM submits that the issues will only be exacerbated. 68.5. manipulate the timing of a resolution, depending on the lawyers’ own cash flow and other commercial pressures. Although the above interests can, of course, motivate a funder, LCM submits that in practice the separation between the funder and the lawyers, the funder’s limited ability to take steps without the lawyers’ involvement and the litigant’s approval, and the lawyers’ overriding duty to act in the interest of the litigant, all serve as effective safeguards for that litigant’s interests. Presently, the lawyers can advise a litigant to take a course that may be contrary to the interests of the funder. However, if the lawyers are the funder, they will be constantly faced with decisions on how and when to disclose specific conflicts to clients, and how and when to advise clients against the lawyers’ own interests. The resulting minefield is unlikely to be entirely transparent and cannot be said to mitigate any issue said to be presented by the practice of litigation funding. One of the advantages put forward by advocates of lifting the ban on contingency fees is that the overall cost to clients would be substantially less by reason of there being “one less mouth to feed”. This is then said to have broader advantages as lowering cost impediments improves access to justice. LCM submits that this is an oversimplified view of litigation funding and, in answer to the question posed above, asserts that the cost of funding is unlikely to be significantly mitigated by the introduction of contingency fee arrangements. As discussed above, the Funding Costs charged by funders are a reflection of the considerable risks and costs involved in financing a third party’s litigation. 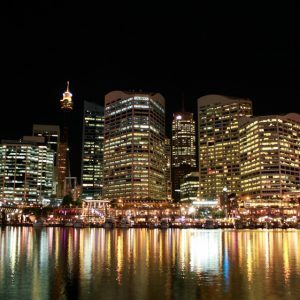 Despite there being significant competition in the litigation funding market, the funding fees offered by Australian litigation funders are not greatly varied, and LCM submits that over the life of the litigation funding industry, the economics of funding have driven funders’ pricing to their present rates. In the event that lawyers effectively assume the same risks and costs as that faced by a funder, including the very real risk that some matters will not succeed and will result in considerable losses, LCM submits that it is unrealistic to expect that the lawyers’ financial considerations would not drive their contingency fee rates into a similar range to that of litigation funding commissions. Consequently, LCM submits that it is far from given that lifting the ban on contingency fees will mitigate the cost of litigation funding. 27. If the ban on contingency fees were lifted, what measures should be put in place to ensure: (a) a wide variety of cases are funded by contingency fee arrangements, not merely those that present the highest potential return; (b) clients face lower risks and cost burdens than they do now in proceedings funded by litigation funders; (c) clients’ interests are not subordinated to commercial interests; (d) other issues raised by the involvement of litigation funders in proceedings are mitigated? LCM submits that if the ban on contingency fees were to be lifted, lawyers availing themselves of the opportunity to charge in this way should be subject to the regulations and requirements that apply to litigation funders. For example, Ben Butler, ‘Victims get nothing as litigation funder, lawyers share spoils’, the Australian 22 August 2016; Ben Butler, ‘Spotlight on legal fees as Huon workers miss out on $5m payout’, the Australian, 26 August 2016; Sol Dolor, ‘Vic AG launches review of litigation funder rules’, Australasian Lawyer 17 January 2017.